Elizabeth completed a Science Degree and Masters in Public Health prior to starting Medicine. In 2009, she was the National Student Representative for DEA, an active member in the West Australian Student Environmental Network (WASEN), and a convener of iDEA. This year she is a Publications Officer for DEA students. Catriona completed a Bachelor of Arts/Bachelor of Science at the University of New South Wales prior to starting Medicine. In 2009 Catriona was the NSW student representative for the DEA students and she continues this role in 2010. Imogen is a past student union environment officer at the University of Melbourne. In 2009 she was involved in starting the University of Melbourne Green Health Group, as well as being a convener of iDEA, a Victorian State Representative for DEA students and an Australian Youth Climate Coalition (AYCC) representative. She is currently the National Project Officer for DEA students. Sophie completed a Bachelor of Arts (Languages) at the University of Sydney prior to starting Medicine. In 2009 she helped start the University of Melbourne Green Health Group, was a State Representative for DEA students and one of the conveners of iDEA. This year Sophie is the DEA International and NGO Liaison Officer for DEA students. James is an active member of local grassroots climate action groups in Hobart and has been influential in establishing an eco-health discussion and social group amongst medical students at his university. This year he is one of the two Publications Officers for DEA students. The result of one attendee’s bright iDEA. 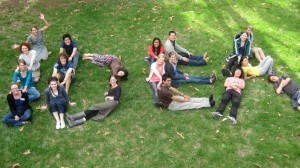 In early December 2009, just prior to the much-hyped COP15 round of United Nations climate negotiations in Copenhagen, 40 medical students, representing six states and eleven medical schools, descended upon Melbourne for iDEA, the inaugural gathering for the student division of Doctors for the Environment (DEA). Attendees were encouraged to be mindful of their carbon footprints whilst travelling to the conference, with many students opting for train or coach rather than air travel. Most impressively, three Tasmanians cycled for three days from Hobart to Melbourne University (with the assistance of the Bass Strait ferry). Education and networking were the focus of this three day gathering at Newman College within the University of Melbourne, where a plethora of distinguished speakers presented talks and interactive workshops to enlighten the receptive minds in attendance: academics, environmental activists, clinicians and all combinations of the three. All present agreed that it was long overdue that medical students gathered to discuss environmental issues relevant to health; issues that for various reasons have been sidelined by the medical fraternity. These issues often traverse traditional subject boundaries, implying a perceived or real lack of academic expertise. Additionally, the lack of confidence in using one’s ‘authority’ as a medical professional plays a part. Climate change, for instance, is often seen as a political or economic concern rather than a threat to health. Being too busy, self-preservation, fear over allegations of hypocrisy, ignorance, inertia and ‘donor fatigue’ all contribute to the reluctance of doctors to speak up. According to Costello et al., climate change “is the biggest global health threat of the 21st century” and the repercussions to health will be global in reach, but with a disproportionately large impact falling on the developing world. Matthew Wright, co-founder of Beyond Zero Emissions, a Melbourne-based organisation promoting the rapid transition to a zero carbon future, raised the interesting point that planning for a zero-carbon future is different to planning for a low emissions future, which, in turn, is different to planning for a doubtful emission reduction trading scheme in which concessions are made to big polluters. Although it seems paradoxical, government inaction in the short term could thus be preferable to legislating a hurried, binding scheme, that is in fact ineffectual in preventing an unsafe average global warming of two or more degrees. So you think you can research? What’s wrong with the Nobel Prize? 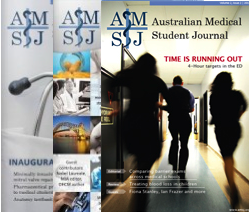 The iPhone: Is it an indispensable tool for medical students? What do medical students think about pharmaceutical promotion? Can we predict when operating lists will finish in a regional Queensland hospital?